Is A Law Degree Right for You? Many international students are starting to consider law schools as a possible career field after college, especially inside the United States. There is a lot to know about how to study law and how to be successful while attending law schools. So is a career in law right for you? Is a Career in Law Right For You? So you want to study law? International students should ask themselves why a career in law entices them. The field of law is quickly growing and there are often a few misconceptions about the field. Many students enter law school because they have the idea that they are good at arguing, and thus must be a good lawyer. While this may be a good quality, it is not the most important. Students need to be skilled in reading and analyzing documents for language. The legal field is becoming more and more saturated as more students begin to graduate from law school. This means that legal jobs can be scarce and only the best students will find entry level jobs at big firms working on big cases. Many students also enter into law thinking that they will go to trial often. This is a major misconception. Most of law is settled and handled outside of courtroom. It is estimated that most lawyers will argue six cases a year. If you enjoy reading, critical thinking and finding logical arguments in the law, then the legal field may be right for you. In addition, lawyers must be expert researchers. In order to be successful in law, lawyers must have the skill to understand and find legal precedent in order to argue their case. In addition to research skills, lawyers must possess a level of ethics unlike any other profession. The law requires confidentiality and professional conduct when representing someone. International students interested in studying law should be familiar with the acceptance requirements for law schools. Students first must earn an undergraduate degree, and the field of study does not matter as you can choose whichever concentration to focus on. Fields that teach critical thinking skills and problems solving are looked upon highly by admissions counsels. The GPA, or grade point average, that you earn as an undergraduate is highly considered by admission committees. Students should aim to retain a GPA of above 3.0 in order to be seen as acceptable candidates. Another major factor that admissions counsels look at is the LSAT score. The LSAT is an admissions test that all incoming students must take in order to be accepted into law schools in the United States. The LSAT stands for the Law School Admissions Test, and analyzes a student’s skills in logical reasoning, reading comprehension, and writing. After taking the test, a student must submit their test scores to schools to which they wish to apply. Scores are between 120 and 180, and the higher the score, the better chances the applicant has of acceptance. By having both a high GPA and a high LSAT scores students can raise their probability of acceptance. Other factors that may influence the admissions committee include extracurricular activities like internships, work experience and leadership positions in collegiate clubs or organizations. There are a lot of different areas of law that a potential international student may be interested in practicing. Some of the most popular positions include prosecutor or public defender. These types of lawyers both work in criminal court, representing either the state or people who cannot afford to have a lawyer. There are also many private law firms that handle criminal defense. 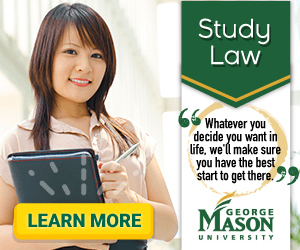 Many students go into special subsets of law like property law, tort law, civil rights law, corporate law, environmental law, family law, divorce law, and health law. All of these fields offer rewarding work and lucrative pay. International students should do some research to determine the answer to the question: is a career in law right for you? If the answer is yes, they must then search themselves to decide what their passion is and what kind of law they would like to enter. Learn more about studying law in the USA by reading our growing article collection. « Study Guide by Subject	« Study Law in the U.S.
Over time we will be updating this section and including more information for those who want to study law in the USA and for other countries, but please feel free to post your thoughts and comments on our Facebook fan page, and also follow us and post questions through Twitter. Visit the Study in the USA School search to find schools that offer programs of study in Law.